Heritage of Pride is moving the Pier Dance after an environmental review revealed that Pier 54, where it has been held for several years, is no longer structurally sound. It's being moved to the enclosed Pier 57, according to organizers. The organizers say that it will allow them to do much more in terms of overall production. Because there is no longer a need for a sound permit they will be shifting the hours to go from 8pm – 2am. Organizers add that Rapture on the River’s new time will be 4 p.m. to 11 p.m. Saturday, June 23, an hour longer than 2011’s event. 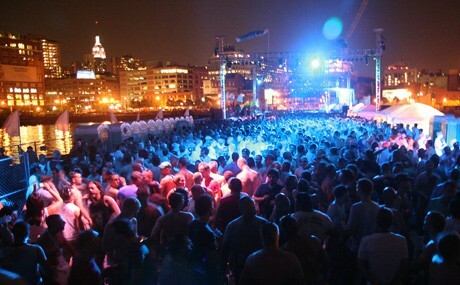 The Dance on the Pier will run from 8 p.m. to 2 a.m. starting Sunday, June 24, a later start and endtime than in 2011. Tickets go on sale Friday, May 4 and can be purchased online at nycpride.showclix.com. Tickets can also be purchased at Village Apothecary in the West Village and Delphinium Home in Hells Kitchen. There will be no change to previously announced DJs.